For a parish of its size and population Sandringham has a profile beyond its apparent weight. The population of this samall north-west Norfolk parish could be measured below 100 souls yet it is perhaps known the world over. This is entirely because of its location as a Royal residence from the early 1860s. Situated north of King's Lynn and close to the Wash coast Sandringahm would be an unremarkable place of heath and forest but for the Royal connection. 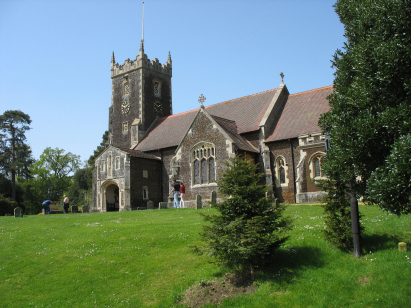 St Mary Magdalene has been extensively renovated during the mid and late Victorian era but there traces of the original Perpendicular church that lies at its core. 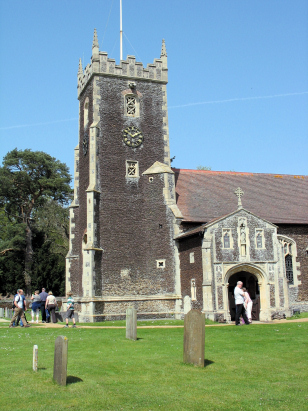 Perhaps the only church for which a fee is payable to visit Sgt Mary Magdalene lies n the Royal Estate of Sandringham and teems with visitors. As a backdrop to Royal visits and occasions it has perhaps been seen worldwide but remains still a very beatiful church. The baptismal records for St Mary Magdalene have only recently become available on Microfilm having been filmed on Microfilm MF1701 in the collection of the Norfolk Record Office. This filming is clear and with excellent contrast and as a result this short transcript was a relatively straightforward exercise. It is to be hoped that few errors will have crept in during its compilation.